27” is a pretty nice sweet spot for size when it comes to gaming monitors, filling your vision and thus in theory immersing you more than a 24” would but without stretching to the potentially neck-straining dimensions of 32”. Within the form factor you then have a number of additional choices to make, of course constrained by budget, with regards to whether you want to prioritise resolution, panel type, or refresh rate. 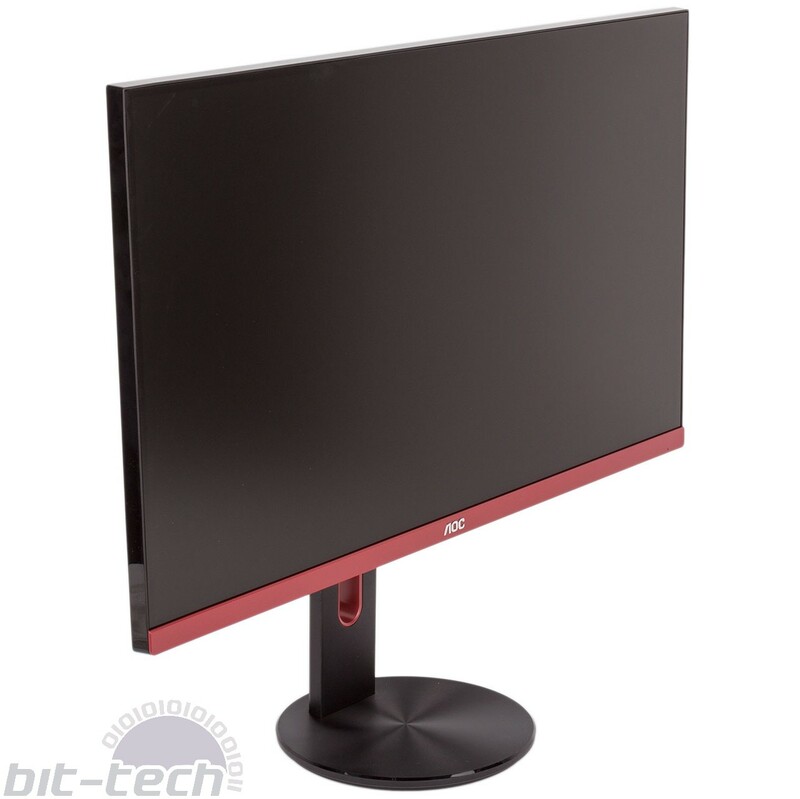 Occupying something of a middle ground as far as pricing for this size panel goes, the AOC G2790PX utilises a 1,920 x 1,080 (1080p) resolution. This is a pretty low pixel density by today's standards, meaning that things don't look as crisp as you might be used to from your phone, tablet, or even just a 24” 1080p screen. It is less of an issue in games where things are constantly moving, but anyone looking for a balance between gaming and productivity might want to step up to 2,560 x 1,440 for additional desktop real estate, though this will naturally entail its own impact on budget. 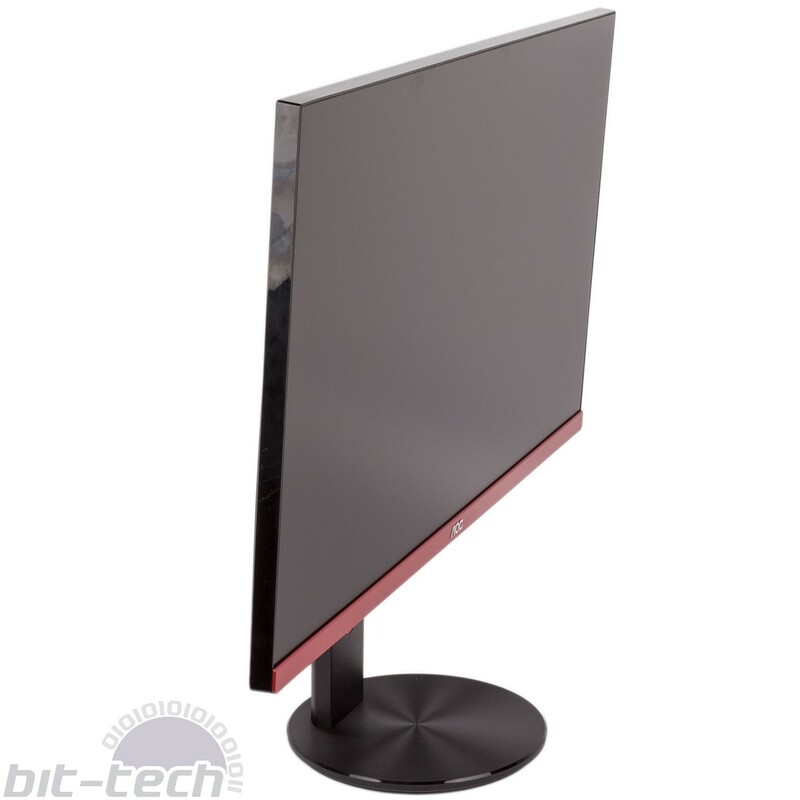 Another cost-saving element of the G2790PX is the use of a TN panel. Generally considered to be one of the poorer LCD technologies from an image quality standpoint, it remains a favourite amongst gamers for its low pixel response times and brightness. 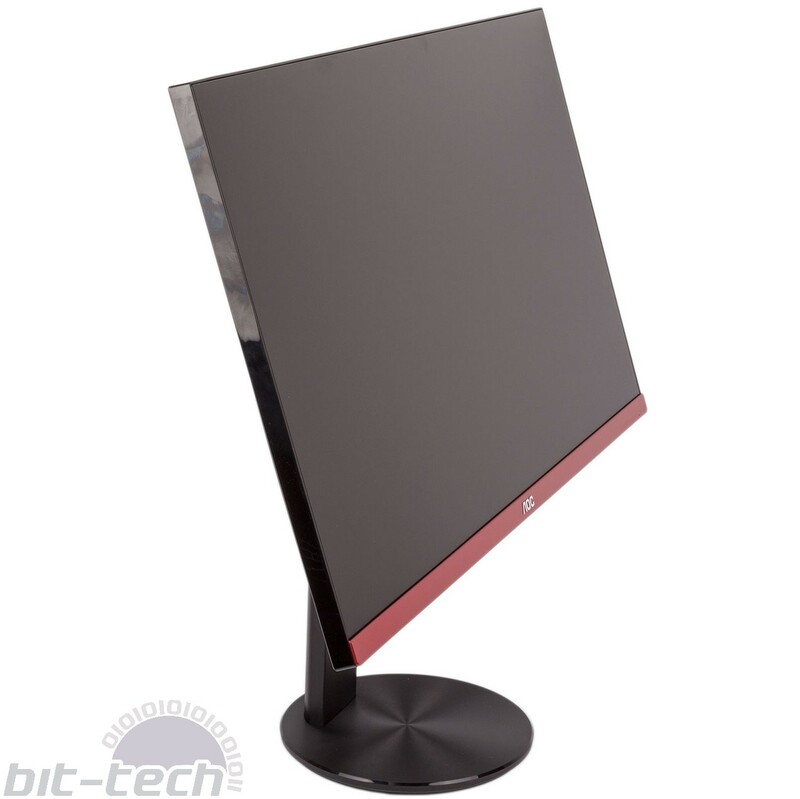 Viewing angles tend to be rather ropey, and the same is true for the G2790PX, as unless you are looking at it head-on or thereabouts, you'll likely notice some colour distortion creeping in at the sides. Gaming is of course very much a head-on experience for the most part, though, so it's not a huge disadvantage given the target market. Where the G2790PX looks to excel is with its gaming credentials, as it sports a whopping 144Hz maximum refresh rate. Not only that, but it also supports AMD's FreeSync technology allowing AMD GPU owners to eliminate screen tearing and stuttering. The term 'buttery smooth' is bandied about an awful lot, but it really is an accurate way of describing the gaming experience at high frame rates (e.g. above 60 or even above 100 fps) with a synchronised refresh rate to match. It also claims a 1ms grey-to-grey response time, which should help to reduce ghosting. In the box of the G2790PX you get the three core parts of the screen: base, stand, and the panel itself. The assembly process is very simple and completes in under 30 seconds: The stand slots into the base and is secured with one tool-free screw, and the stand then slots and locks into the back of the panel. If you'd rather wall-mount the screen, this too is possible with standard 100 x 100 VESA mounts. Aesthetically, we think it looks pretty swish thanks to the little red sections and almost no visible plastic around the three uppermost edges. This isn't a bezel-free screen, however, as there are small but noticeable in-panel borders around the edge pixels. Pleasingly, the G2790PX offers all the main adjustment mechanisms, including 20° swivel left and right, tilt up and down, a healthy 130mm of height adjustment, and even the ability to pivot into portrait mode. All of these are easy to operate, so full marks to AOC on this front. As well as a VGA port for legacy hardware, the G2790PX has dual HDMI 1.4 ports and a single DisplayPort 1.2, both of which offer FreeSync and a full 144Hz at 1080p. These ports, the power input, and the dual audio jacks (yes there are speakers, yes they are pants), face downwards. One of each cable, including a 3.5mm male-to-male cable allowing you to hijack the audio signal and send it to your speakers, is supplied in the box. 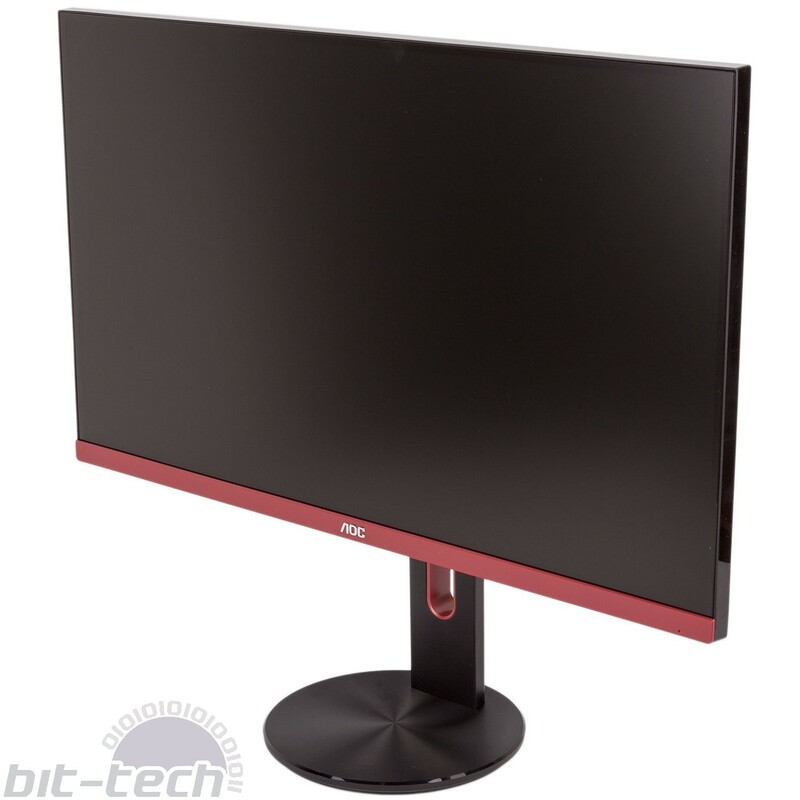 The features don't stop there, as the AOC G2790PX also incorporates a four-port USB 3.0 hub, and again the necessary link cable is supplied. While these ports are rear-facing and thus easier to access than the display connectors, we much prefer USB ports to be side-mounted where possible, as they're much more likely to be regularly used. The power button and menu control are rolled into one little joystick discreetly placed on the back – simply click it in for power or hit it in any direction to bring up the OSD. The joystick makes navigation very intuitive, and the menu layout helps too. Settings of note include a trio of gamma options; the regular selection of colour temperature options including sRGB and one user-controlled one; and 'GameMode' settings like FPS, RTS, and Racing. Within GameMode you also have three user-configurable settings, and these allow you to tweak shadows (e.g. making them brighter to illuminate darker parts of competitive games), colour (saturation, basically), blue light, and pixel overdrive to further help combat ghosting.